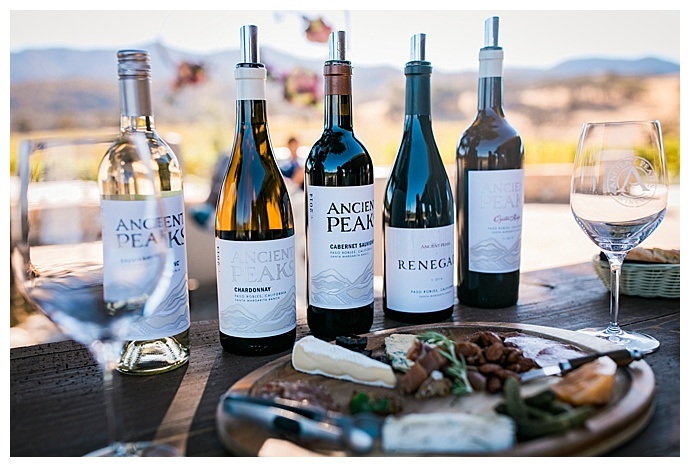 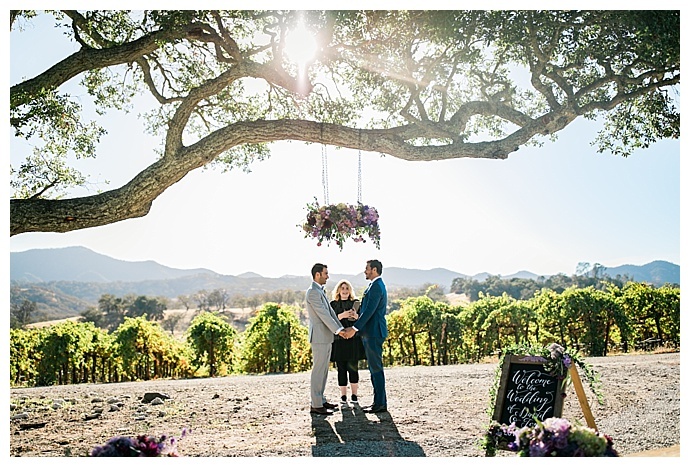 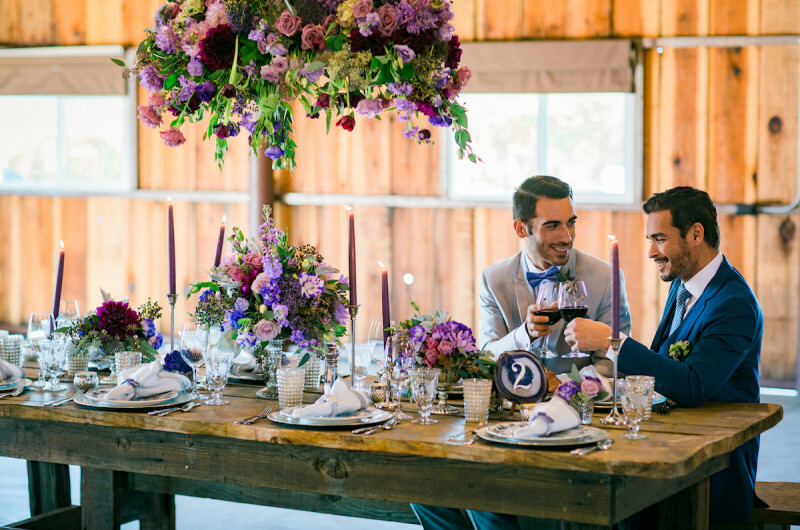 Hanging florals, agate slices and personalized wine bottle labels are only a few of the many things we love about today’s vineyard wedding inspiration shoot. 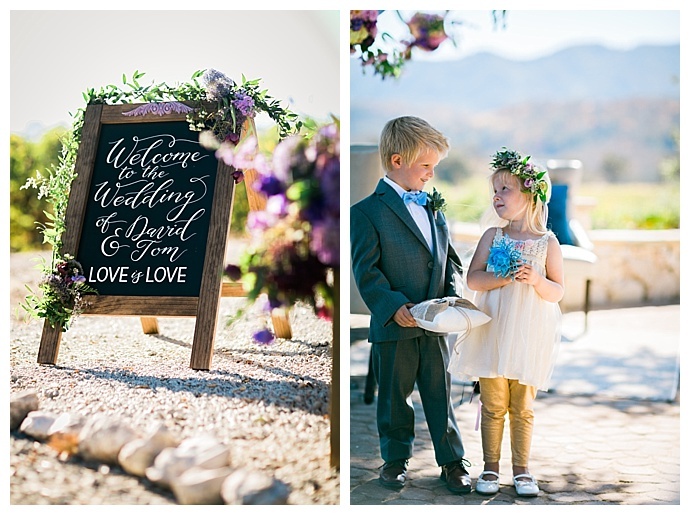 The event planners at Central Coast House of Design had been looking for an styled shoot infused with elements such as personalized details and vintage accents with lush flowers presented in a modern way and a fun kids table filled with activities to keep the little ones busy, but after scrolling through Pinterest and pages of wedding blogs, they kept coming up short. 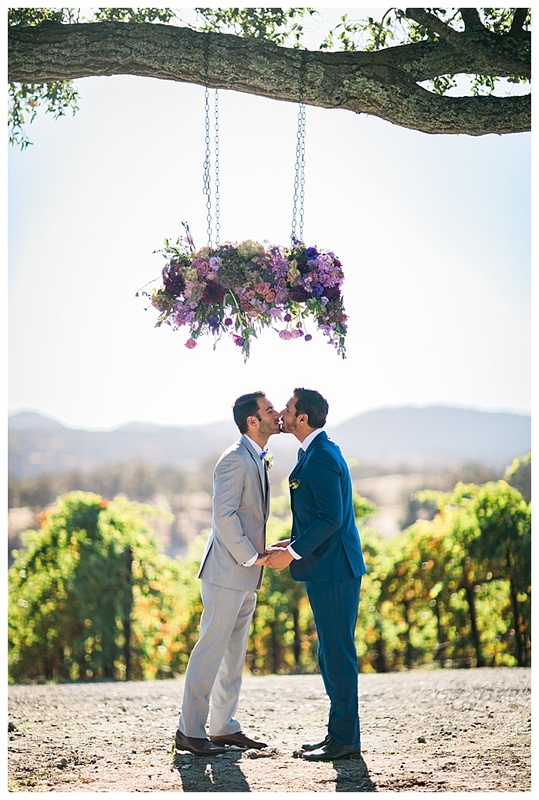 That’s when they knew they needed to be the ones to bring the shoot to life. 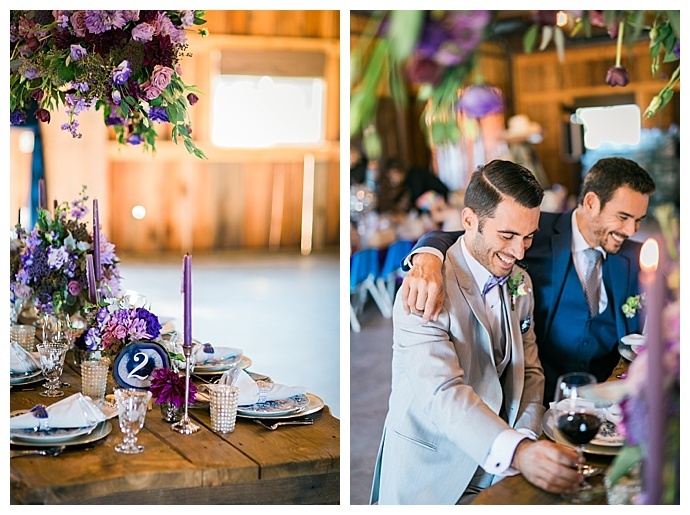 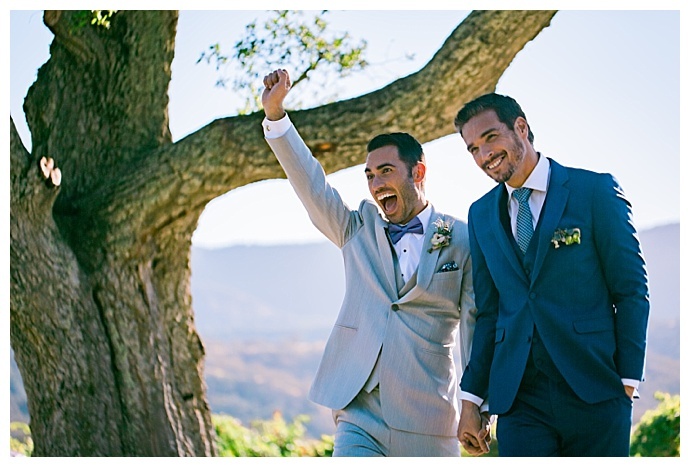 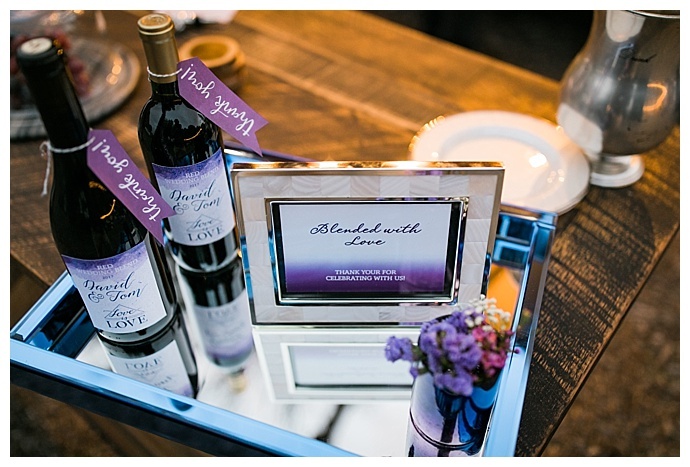 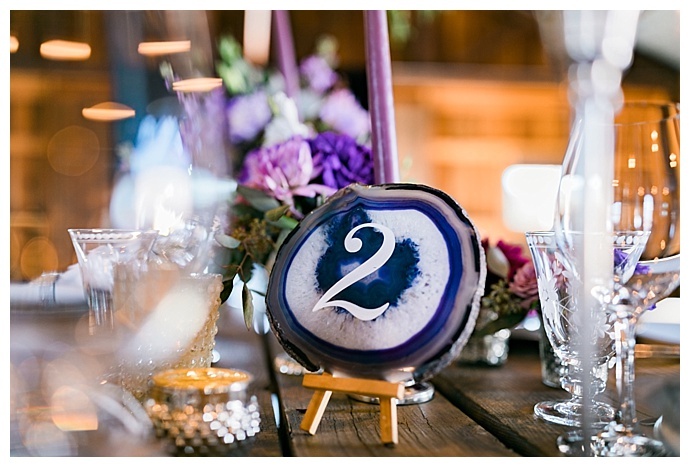 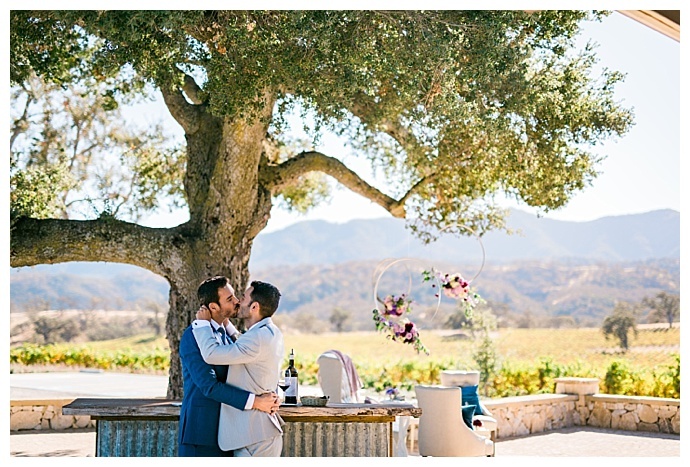 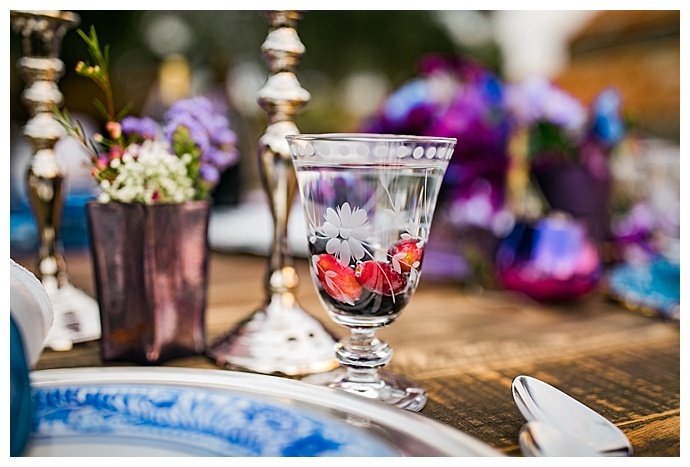 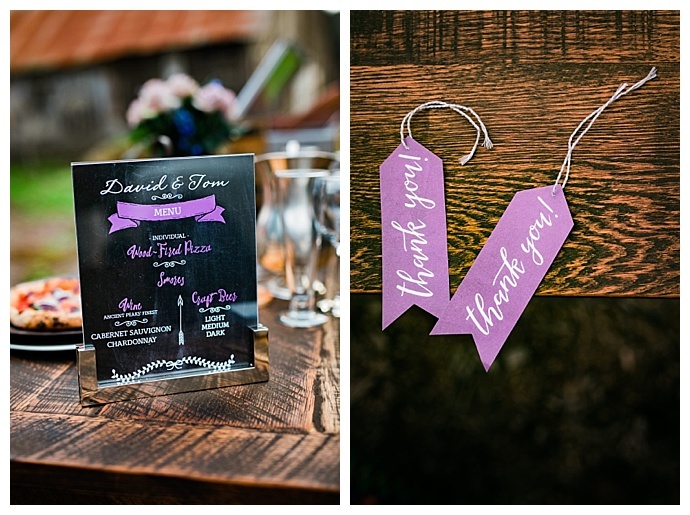 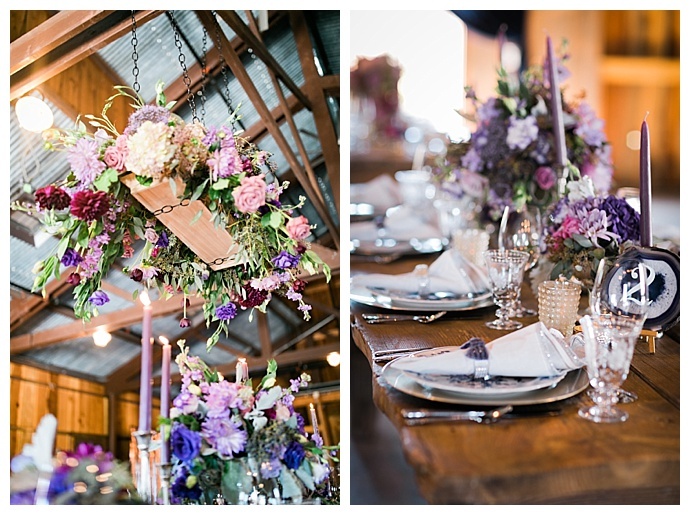 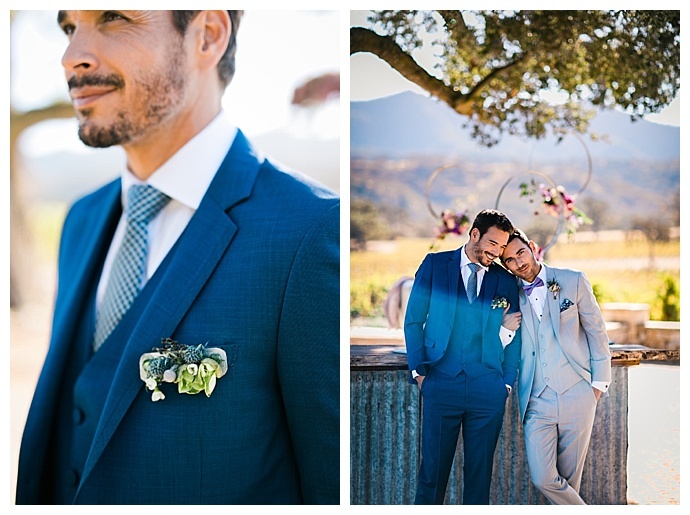 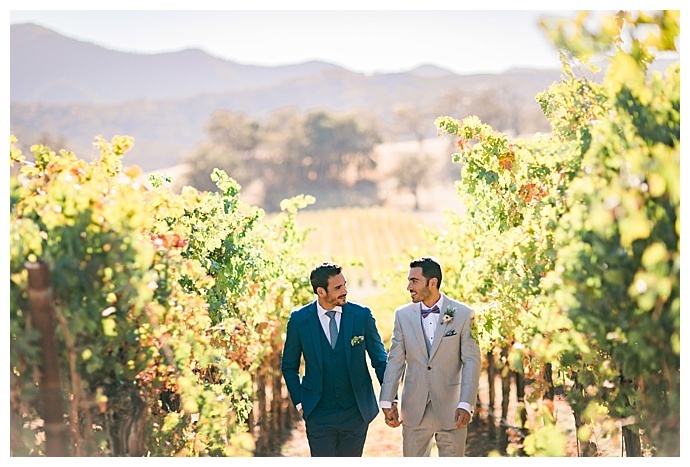 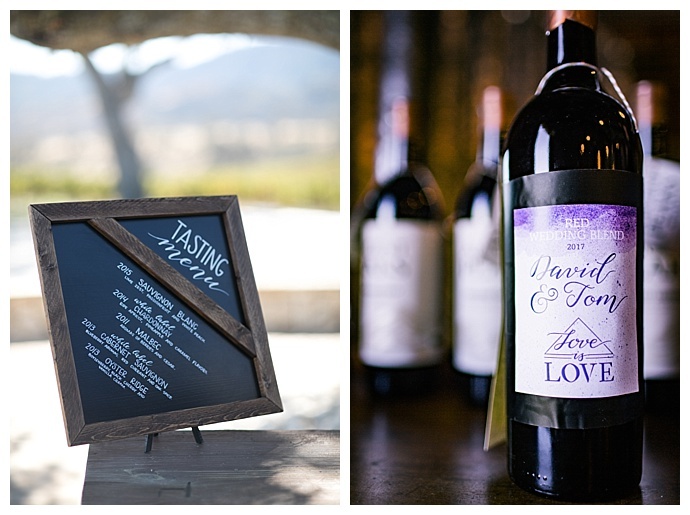 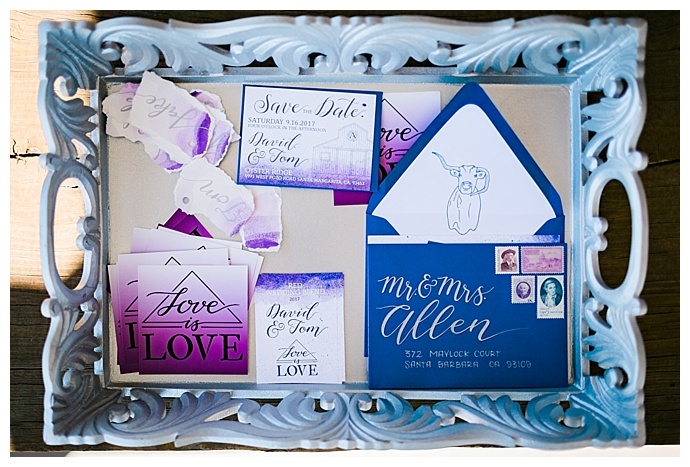 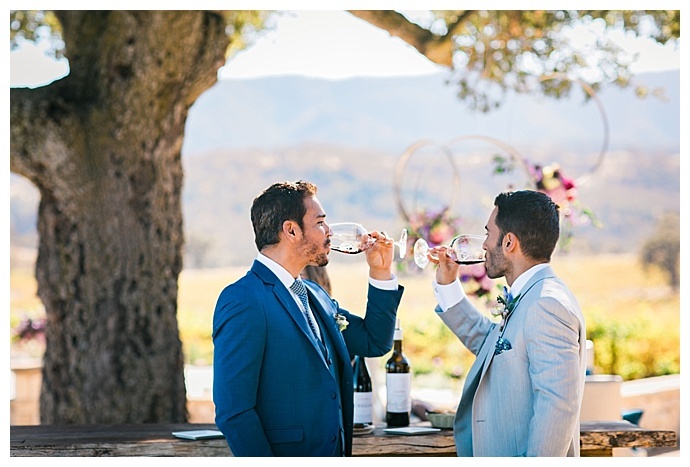 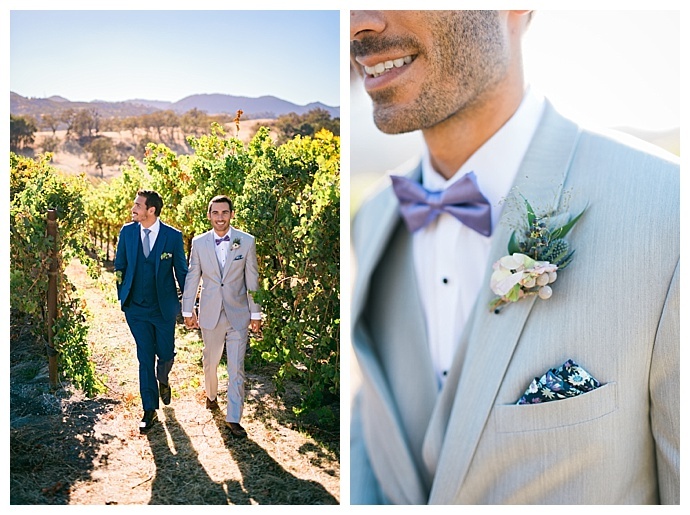 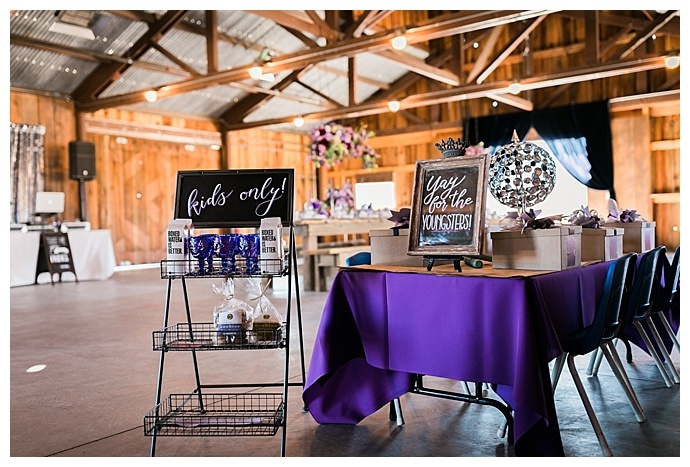 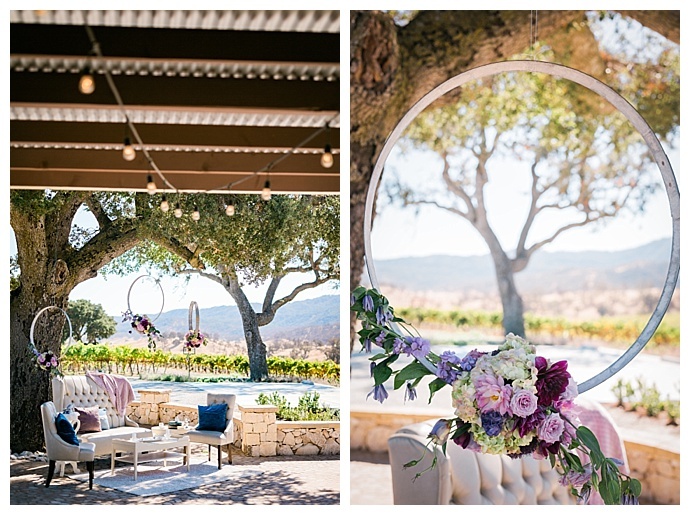 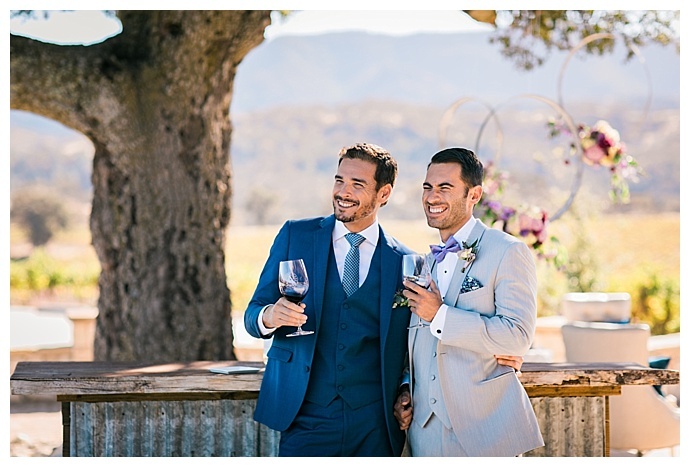 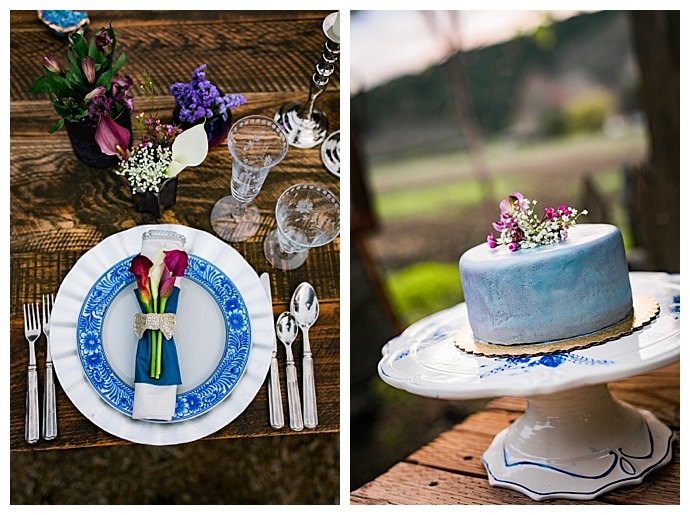 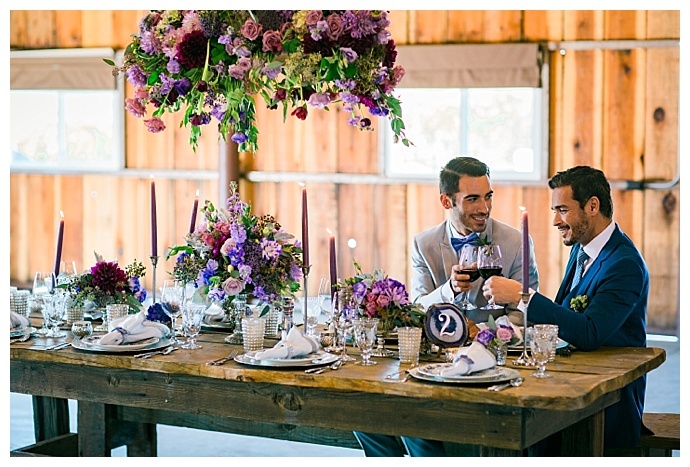 With help from some of their favorite vendors, including SLOtography to capture all the beautiful details, they used a color palette with bright pops of purple and blue hues to infuse energy into the rustic Oyster Ridge Barn at Ancient Peaks Winery. 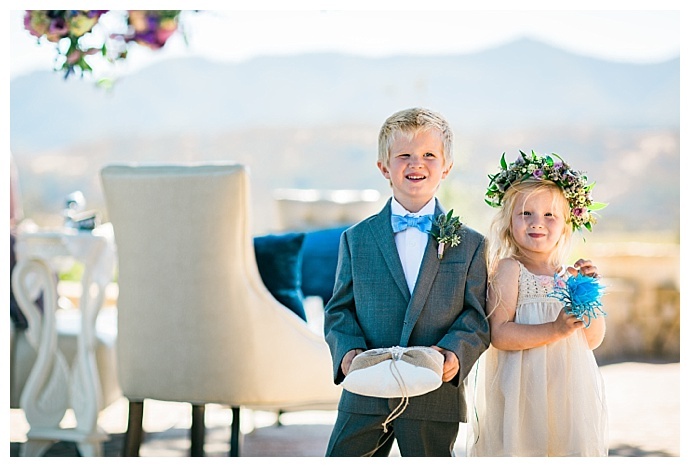 And with an adorable ring bearer and flower girl and a handsome pair of grooms, this styled shoot is serving up plenty of inspiration!